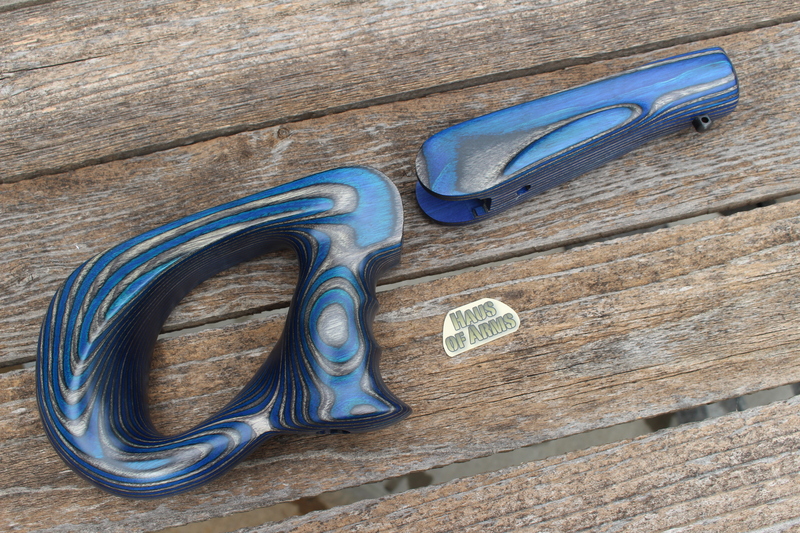 This Thompson Center G1 Contender PCE11 Electric Blue "CRUSHER" LOOP Laminate RIGHT HAND grip set is brand new and looks amazing. These sets are made in the USA for HausofArms by Revolution Stocksets. 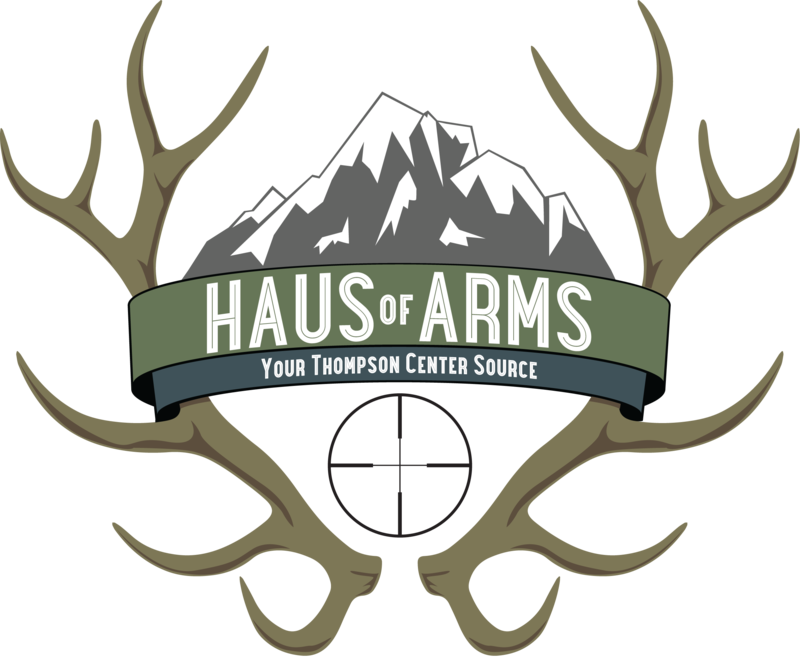 The buttstock is specially designed for HausofArms and are made to tame the heaviest of recoils. Frame bolt and forend screws are included. You will have your choice of either 1 hole forend (typically for 10" barrel) or 2 hole forend (typically for the 12" and 14" barrels), simply indicate your preference in the comment box at checkout. The barrel channels are made to fit all barrel contours well. Note, hex barrels and step down barrels will also work but due to dove tail location change on those barrels only a portion of the hinge pin is covered. 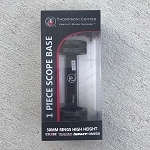 The forend measures 7" long and comes with a sling stud that has been tested and used for bipod shooting. The "Crusher" name was used because these grips absolutely crush the perceived felt recoil. The LOOP grip fits all G1 Contender (not G2) frames. GRAIN MAY VARY.